In 2017 my 7 year old son went on a Spy Guy Mission to Help Recruit a P1 teddy called Ellie to go on a #DigCit trip to support a number of people and organisations that I was connected with at the time. As the saying goes there is no 'I' in team (But there is a me), so we've dropped the I in Ellie and with people like Asqa Mahmood encouraging young people like Shamina Begum to leave home to join ISIS... it might be an idea to call the adults in to help keep our kids safe online from the kind of threats that Begum faced. This includes the definition and nature of how we keep young people safe online now. This post looks at some of these changes and is written in the hope that either politicians and/or people in my network will help to recruit Elle to see if we can address some of these rather serious issues. On the week that the web celebrated it's 30th Birthday and Tim Berners-Lee encouraged people to fight #ForTheWeb... by the end of the week far right extreme hate groups video'd their attack on mosques in Christchurch. Online hate spilling onto our streets days after Tim Berners-Lee calls for people to fight #ForTheWeb. In 2019 not only are parties like The SNP doing nothing to reign in #Cybernats like 'Wings Over Scotland' (Rah! Rah! Rah! IndyRef...all the way from Bath?!) ...But Alex Samlond's support make people like this front page news by jumping to this 'kind, well mannered and model SNP supporters' defense by claiming that You Tube is politically biased. The tribalism of groups like the Cybernats and the Yoons not only suits these political parties BUT the (so called) political 'Leaders' seem to be following Mr Trumps playbook according to the #FakeNews as Boris Johnson, Michael Gove, Jacob Rees-Mogg and other contenders for taking over Theresa May's role are speaking to Steve Bannon, who is openly declaring what his intentions are. And even if #Cybernats like Wings Over Scotland were not being defended by the SNP and Bannon being courted by self interested Old Etonians like Boris & Gove... given the obsession (and MPs uselessness) with finding solutions for Brexit, I would not expect any solutions regarding cleaning up 'The Wild West of the Internet' from this group any time soon. That is if they were even to accept the facts regarding what is going on, which they are not! On the BBC's This Week last night Frank Luntz highlighted the dangers... Only for Michael Portillo to dismiss the concerns and threat out of hand. In 2015 I blamed them for being part of the problem with online abuse. In 2014 I was super supportive of The SNP, writing 30+ posts in support of them. I was never supportive or The SNP per se, but of the cultural conditions that the post vote momentum created. Upon reflection, I realise that I wasn't even writing in support of the SNP... but was writing posts to detail what they needed to do to maintain the positivity of the extremely powerful 'Network Effects' and 'Feedback Loops' where a single event (The night the BNP came to town to celebrate the #NoThanks result) delivered record results for the SNP during #GE2015. If the extent of the threat is not recognised and addressed, the events in Christchurch may well be set to have the same impact... but for hate groups. As I've started a number of times, the online momentum for #IndyRef in the last 2-3 weeks of the 'Yes' campaign influenced the offline, IRL rallies where they grew and grew and grew and saw the polls go over 40% for only the second time ever during the campaign. Educators? Look for the Bright Spots... Help Recruit ElleNew Power highlights that after a number of false starts in creating a solution to effective ISIS recruiters like Asqa Mahmood includes educators who 'Connected Connectors' and 'Crowd Leaders' to build a network of positive messengers who create alternative narratives drawing people away from more extreme positions and amplifying messages of groups like religious leaders and their schools. HOWEVER! Taking on people with opposing views and getting into a heated debate in the hope of 'dialing the conversation down' a little and looking for common ground (Even when 'I wasn't looking for any common ground!' is a reply once you've established some), is NOT easy! But can be done. 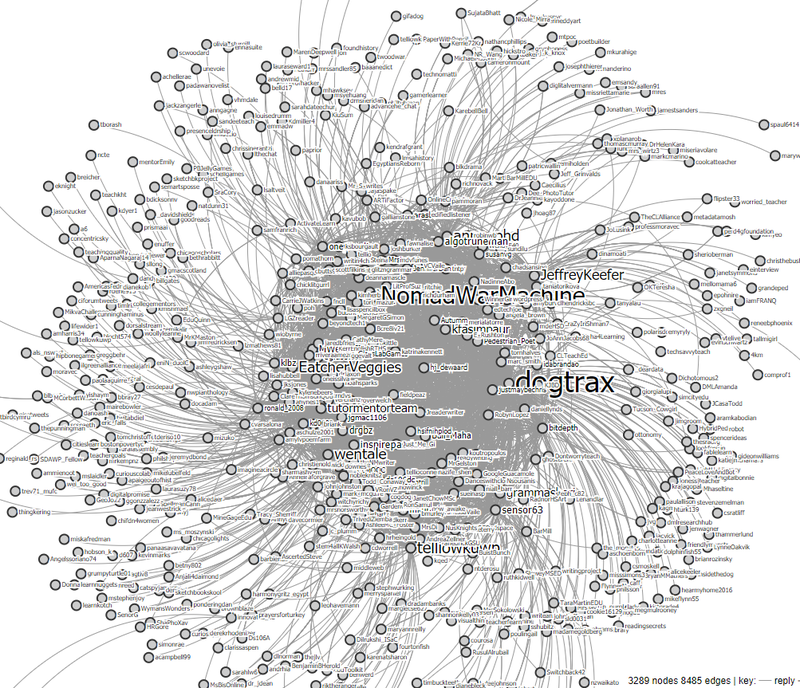 Will need people to path find some solutions to this. If they are not actively adding to the problem with the future UK Prime Minister speaking to Steve Bannon, they are doing nothing by advocating for people like 'Wings Over Scotland' and/or not calling out their own supporters who look to troll those who have a different political view. Social Media does not come with the job (Yet!) today. There is no remit to take on Asqa Mahmood to help provide vulnerable people like Shamina Begum with a sense of belonging online. Taking on Far Right groups, ISIS recruiters and political trolls like the #Cybernats could affect the educators digital footprint and get them into trouble with their employers... even though a virtual hug could help them before it was too late: Imagine an educator providing an 'Alternative Narrative' in the way that a Muslim did with Ivan Humble (@NewDayStarts) to turn him away from the English Defence League. I see a few brave educators who are doing this and IMHO they should be encouraged, supported and their example followed. The potential for change and the participatory politics that never came. Instead of attacking others who have an opposing - and perfectly legal - political view in the UK's democracy, why not turn their willingness to have a fight online with those who are turning to violence offline and the extreme groups like the far right? Alt Right has been on spaces where our young people are for years and people like Michael Portillo say that the links are unconnected, Bannon says he wants to connect the far right across the world and the Old Etonians of Gove/Boris/Ree-Mogg are speaking to this guy? No One Is Coming to Save Us #ForTheWeb #FFS #Cybernats Help Recruit Elle! This entry was posted in Professional on 29 March, 2019 by William Jenkins. This entry was posted in Professional on 27 March, 2019 by Joe Wilson. I've been reading. Of course, there's never a time when I don't have a book on the go, but that's fiction. As it's Lent I've tried to be a tad more disciplined, and to that end saved up a book that I bought some months ago. At the time, I posted online that it had been a bargain - and it was: it cost me about £70 less than its published price. Saturday's Silence is an academic study of my favourite poet's work with reference to Holy Saturday, the day between Good Friday and Easter Day. And when I embarked on the introduction, I found myself nodding in agreement with much that the author had to say, about poetry in general and Thomas in particular. And it's not that I've stopped agreeing as I move through the body of the argument - quite the reverse. I'm struck by how intense, line-by-line scrutiny of a poem kills that poem stone dead. This isn't a new thing floating into my consciousness - it's something I was terribly aware of when I was teaching English lit, and especially teaching poetry. But in my latter, more experienced days, I had learned the trick of teaching the "how" rather than the "what" - teaching the basics of poetic understanding* via snippets of examination so that the individual pupils could do it for themselves, and reach the point where it would be in the first instance instinctive, even if further study produced deeper and more detailed appreciation. It was that approach, I believe, that had S4 boys (15-16 years old) learning and loving poems by not only Thomas but also John Donne, reciting them off by heart and lovingly examining what it was that had so attracted them. I've never really stated all this on paper before. Perhaps it's struck me as blindingly obvious without my labouring the point. But why I'm doing it now is because I've linked it in my mind, thanks to Richard McLauchlan, with religion, with faith itself and the nature of faith. Think of all the tedious sermons you've listened to in your day. (Obviously, I'm addressing a somewhat targeted audience here - you know who you are...) Do you ever consider, perhaps when you give up actually paying attention, what's wrong with them? I bet some of them at least were lectures, telling you what words in the bible signify in terms of what you, the punter, ought to believe. Lectures, instead of actual communication, kill faith as dead as academic study kills a poem. I'm not going to chase this further. I want to emerge with today's little epiphany which is probably more of a realisation of something I've known for decades. Which is why poetry is important, why the practice needs to be done to acquire the eyes with which to grasp it. Which is why I approach faith as the poet, or as the lover of poetry who spots symbolism at a hundred paces. Which is why music is so important. Which is why it was a combination of music and poetry that brought me to faith. I'll finish the book. It's had the merit of taking me to revisit some dearly loved poems, to feel once again the sudden stab of recognition that Thomas's last lines can so often create. But it's the poetry that matters. 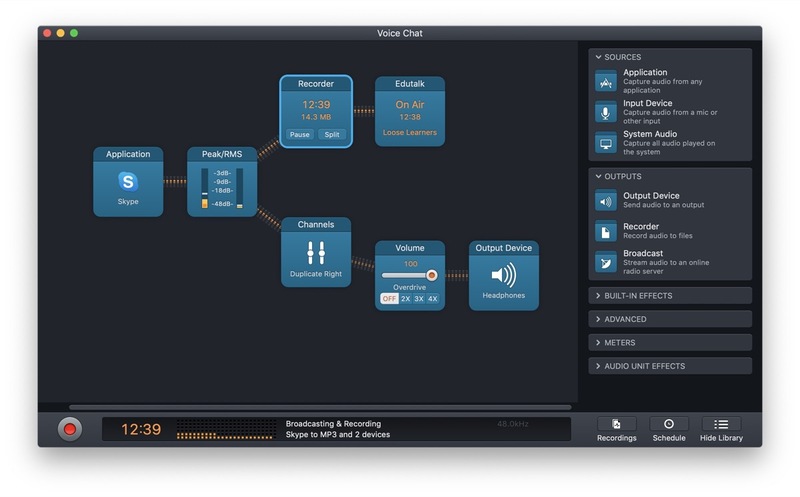 *I'm talking here about such technical features as caesura, enjambement - all the stuff you make a part of your perception so that you don't need to think about it. 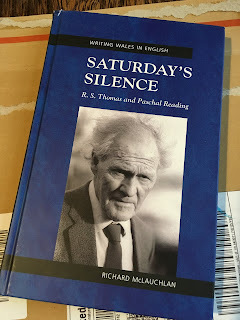 This entry was posted in Professional and tagged academic study, analysis, Christianity, faith, Holy Saturday, literature, music, poetry, R.S.Thomas, religion, Richard McLaughlan, Saturday's Silence, words on 26 March, 2019 by Christine McIntosh. This entry was posted in Professional and tagged Brain-fluff, edtech, Education, IT, learning analytics, Media, oer, open on 25 March, 2019 by Anne-Marie Scott. Are you considering pathways in the senior phase for young people learning through the medium of Gaelic? This Foundation Apprenticeship is available through the medium of Gaelic for young people in S5 and S6 . It can be studied over a period of one or two years, starting in S5 or S6. Sabhal Mòr Ostaig offers a partnership with schools to deliver this foundation apprenticeship. Delivery is organised to suit the school’s timetable. Young people will be taught by a college lecturer from Sabhal Mòr Ostaig. A range of online learning materials will be used support young people in their studies. This entry was posted in Professional and tagged Broad General Education, Gaelic Medium Education GME, Literacy and Gàidhlig, National Qualifications, secondary, Senior phase on 25 March, 2019 by Joan Esson. This entry was posted in Professional on 24 March, 2019 by William Jenkins.